Pediatric dentists have an extra two to three years of specialized training after dental school and are dedicated to the oral health of children from infancy through college years. 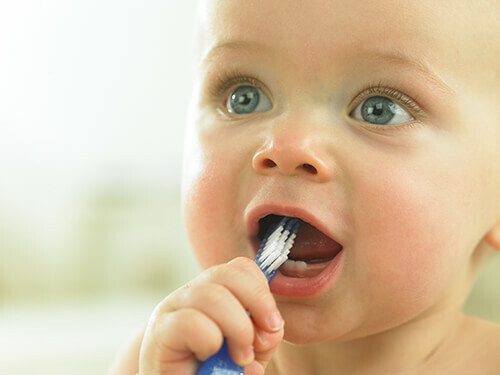 Infants, young children, pre-teens and teenagers all require different approaches in dealing with their behavior, guiding their oral growth and development, and preventing future dental problems. As trained specialists for children, we are best qualified to meet children's unique needs. "I highly recommend this practice! The dentists, hygienists, assistants and office staff are fabulous!! They are so so friendly, knowledgeable and professional. Not sure how they were able to hire so many genuinely kind people. Having three children and a son who just had his braces removed we are there a lot. It has always been a positive and pleasant visit. Often felt how lucky they were to work there." "It is an excellent practice to provide dental work done for children with special needs. The staff are wonderful people to make parents feel comfortable during there children's dental visit! We would recommend to my family and friends in the area . Thank you all for the teamwork everyone does!" "I drive thirty minutes to get to your office, even though there is another pediatric dentist much closer. I go to the best, and feel that its definitely worth driving a few extra minutes. I always speak up and share with others how great this office and these dentists are!"